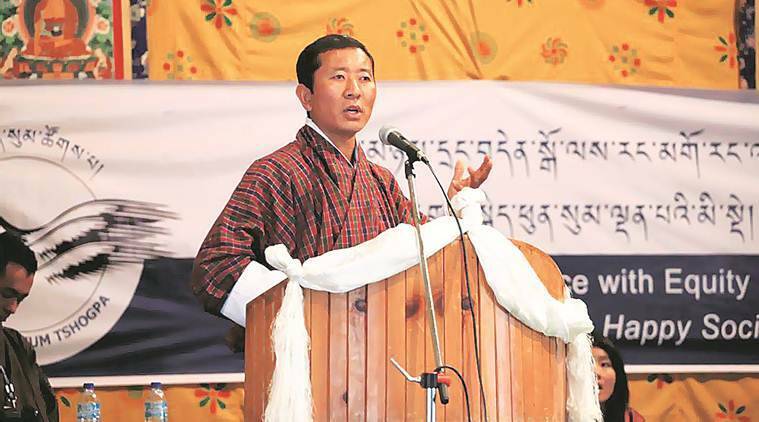 The election of the relatively “unknown quantity”— Druk Nyamrup Tshogpa (DNT) party and Prime Minister (Dr) Lotay Tshering — in Bhutan has triggered speculation in New Delhi’s foreign policy and strategic circles. A theory, often repeated in sections of the Indian press, is that PM Lotay and the DNT want to diversify Bhutan’s economy away from hydropower, and, hence India. Some have even suggested a new or major role for China in Bhutan’s economy under this new “diversification approach”. However, this is a complete misreading of the intentions of the current government. The new Bhutanese Prime Minister will have four main agendas in his first foreign state visit to India, and these, in order of priority, are: A fair tariff for the 720 MW bilateral Mangdechhu project; seeking India’s support for Bhutan’s 12th Five Year Plan (FYP); starting the 2,560 MW Sunkosh Reservoir project and waiving off the Central GST for Bhutan. These are critical for Bhutan’s economic future and commercial plans and all of them have to do with India. In fact, PM Lotay has made it clear that the top issue during his Delhi visit will be getting a favourable tariff for the Mangdechhu project, which is set to start production in January 2019. He is concerned about the tariff rate because the largest chunk of Bhutan’s internal revenue in the 12th FYP will be coming from the project. Bhutanese and Indian negotiators have had seven rounds of meetings so far, but have not been able to agree on a mutual tariff rate. Indian negotiators are offering up to Rs 3.90 a unit. Bhutan wants something closer to Rs 4.40 a unit — which it feels is closer to the higher loan amount and cost of financing of the project and in line with the time-tested “cost-plus model” that was used for the landmark 1020 MW Tala project. Bhutan’s rate is below the average of Rs 6/unit, which is what new hydro projects in India are charging. The final decision is now in the hands of the political establishment in New Delhi, and Bhutan will be watching closely. The obsession with the Mangdechhu tariff is not only about getting a fair rate for its electricity, but also an effort to convert the relationship with India from the traditional “donor and aid recipient” to that of investment and trade. This is why another important agenda on the Bhutanese PM’s mind is to get New Delhi to start the construction of the 2,560 MW Sunkosh Reservoir project. Bhutan, down the line, also wants to construct the 2,640 MW Kuri Gongri reservoir project along with India. Both these projects are not only mentioned as priority projects in the DNT’s manifesto but also as one of its key economic priorities. On the other hand, it is the Indian side that is taking it slow due to what it says are financing concerns for the projects. These two mega projects will be part of a clean and reliable stabilising power source for India’s big renewable energy push in solar and wind, kicking in, when the latter are down. A fair tariff for Bhutan with Mangdechhu will also ensure a soft landing for Bhutan’s in-principle decision to not seek more aid from India for the 12th plan than it did in the 11th plan. This would be the first time that Bhutan is not seeking an increase in developmental assistance from India over the last plan period. This would mean that while India funded 23 per cent of the 11th plan, it could potentially fund only around 14 per cent of a larger 12th FYP. Not only from India, Bhutan is also sharply reducing its overall grant component. The actual decision to not seek additional assistance was first taken by the former People’s Democratic Party (PDP) government, and the current DNT government has given in-principle support to it. A similar stand by two different and successive governments on this issue is due to the long-standing Bhutanese national objective of achieving economic self-sufficiency. Contrary to the perception that Bhutan’s economic diversification programme will weaken its economic ties to India, the opposite is true. While hydro projects built with India will provide the bulk of the revenue for the government, the projects by themselves cannot generate many jobs for the Bhutanese youth. This is especially so because Bhutan has the highest proportion of youth to the total population in South Asia. The hydro projects, in the long run, will also not be enough to bridge the ever-widening trade gap or current account deficit with India, which is the main weakness of the Bhutanese economy. Again, Bhutan sees India not as a challenge but as an opportunity — both as the largest potential source of investment for our economic diversification programmes and also the largest market for the products and services that come out of this diversification. In another example of how closely our economies are linked, Bhutan will be asking for an exemption from India’s Central GST as the tax is affecting the export of Bhutanese goods to India, both in terms of price and procedures at the border. Bhutan, on the other hand, is willing to pay the state-level GST. Bhutan is India’s closest and most reliable friend and will remain so. It is now time to take this relationship to the next level.